As a participant of the 1980s generation of artists that came of out of the Instituto Superior de Art (ISA), in Havana, Quisqueya Henriquez was deeply influenced by the conceptual and experimental pedagogical model promoted by ISA at the time. With a career spanning over twenty years, Henriquez has carefully built a coherent body of work that sustains a critical dialogue with international currents while also sharply tuned to Caribbean contemporary life and culture. Henriquez’s first mid-career survey was organized by the Bronx Museum in 2007. For this installation, the museum will be showing the digital video El Mundo de Afuera (The World Outside). Shot over the course of three years from the balcony of her apartment in Santo Domingo, El mundo de afuera is a lyrical meditation on the unceasing motion of life. The still camera conveys the artist’s perception that even the most stationary individual exists in a world in constant flux. The immobility of the camera reflects her interest in the way things come to an individual even if she/he remains still. Henriquez first conceived of this work after watching numerous films by Yasujiro Ozu (1903 – 1963), the great Japanese filmmaker known for his fixed frame shots. 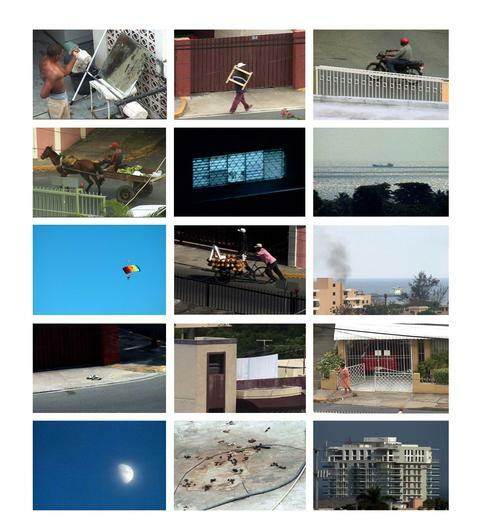 In El Mundo de Afuera, Henriquez combined the aesthetics of chance, slow actions, and sound and image editing to tell a mesmerizing story that may be about everyday Santo Domingo or about an existential, unknown place.